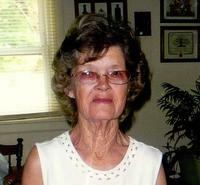 Diane Walton Hamlett 74, of 2014 N.C. Highway 119 North passed away Friday December 6, 2013 at her residence. She was born in Danville, Virginia July 15, 1939 to Grover Walton and Pricie Whitt. She lived most of her life in Caswell County, N.C. as a homemaker and seamstress. She attended Bartlett Yancey High School and worked in textiles for several years She also attended Union United Methodist Church. great grandchildren, Lily and Cooper Hamlett, Samantha and Buddy J. Rule. She was predeceased in death by her husband, Lewis Warren Hamlett; father, Grover Walton and grandson, David “Buddy” Hamlett. The family will receive friends Monday at 1-2 p.m. at Harrelson Funeral Service Chapel and interment will follow immediately at Union United Methodist Church Cemetery. Sorry for the loss of your mother. Praying for you and your family.